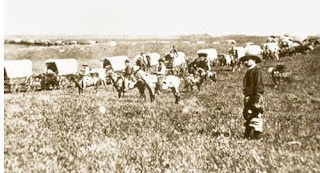 Most avid readers and serious students of western history have heard of the Bozeman Trail, the infamous Bloody Bozeman that took emigrants north from the Oregon Trail to the gold fields of Montana in 1863. The Bozeman Trail was one of the last emigrants trails opened in the American West. The establishment of the Bozeman Trail by John Bozeman and John M. Jacobs was a business venture in which Bozeman and Jacobs expected to gain financially from guiding emigrants to Montana. Jacobs, described in contemporary accounts as an “old mountain man”, could see the financial possibilities of establishing a trail and guiding anxious gold seeking emigrants north to Montana. His foresight was not all that unusual. Indeed, some of most industrious western entrepreneurs were mountain men, trappers and traders, who spent a majority of their adult lives in the Inter-Mountain West. These men, characterized in American folklore as rough rowdy raucous men of low calling, had the ingenuity and expertise to engage in an assortment of financial ventures, which ultimately helped them to make a living for themselves and their families. The establishment of a new emigrant trail offered Jacobs a timely financial venture. In 1862 John Jacobs, along with others in the fur trade business, had retired because of the depletion of beaver and a dwindling demand for hides. As luck would have it, just as the beaver was saying his last adieu, emigrants were heading west in record numbers to stake out their fortunes in a new land. What Jacobs saw was not just a steady flow of wagons heading west, but the possibility of a new business venture. The emigrant trails were long and offered few services. There were forts, like Fort Laramie in eastern Wyoming, where emigrant trains could buy supplies, but it was a long stretch after Fort Laramie to other supply depots, like Fort Hall in present day Idaho. This was especially a problem when an emigrant family needed fresh livestock to pull their wagons. Often when oxen or cows could not keep up, they were left behind along the trail. 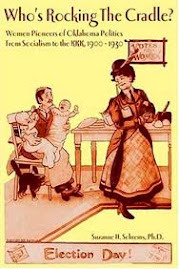 Jacobs made a business out of buying cheap worn out oxen or gathering up strays, and moving them North into the Beaverhead, Bitterroot or the Deer Lodge valley’s of western Montana There the livestock fattened up on lush grasses. The next summer Jacobs took the hardy animals back to the Oregon Trail and traded them to new western emigrants, who were in the same situation as the travelers of the previous summer. Jacobs offered one fattened well-fed animal for two or three used up oxen. 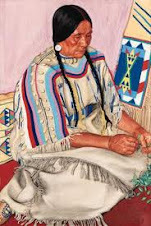 Jacobs and his companions also traded clothing, like deer skin shirts and pants, beaded moccasins, and other such articles most likely made by the trappers’ Indian wives. Another one of Jacobs’ business enterprises was that of trail guide to emigrant trains that traveled various overland routes. 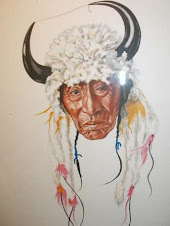 When the summer business slowed down, usually with the threat of first snow, Jacobs retired to the inter-mountain valleys of Montana, where families made up of white fur traders, native women and mixed blood children, lived through relatively mild winters in their Elk Skin Lodges. It was one of these winters in the early 1860s that John Jacobs met John Bozeman. 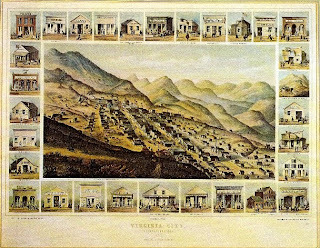 It is reported that John Bozeman had arrived in Deer Lodge Valley in 1862 to mine for gold. Bozeman was a young ambitious energetic man from Georgia, who sought western adventure and Montana gold, but the work was arduous and there was little return for all the labor. When word spread of a rich discovery of gold at Grasshopper Creek in the Beaverhead Valley in what became Bannack, Montana, Bozeman wasted little time getting to the new diggings. Again, actually mining for gold did not suit Bozeman and he looked around for other lucrative possibilities. 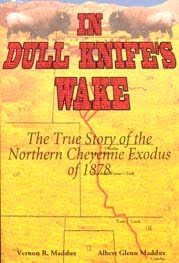 Bozeman and Jacobs met in Bannack of 1862. Jacobs had just finished guiding a train of forty wagons to Walla Walla. The new discovery of gold in Montana provided Jacobs with further opportunities to etch out a living, but not by panning for gold. Jacobs and Bozeman thought of the possibility of making money by helping emigrants reach the Montana gold fields by a shorter time saving route, an idea not originating with Bozeman or Jacobs. In fact, the Englishman, Edward Shelley and his companion, William Orcutt, first traversed the route that eventually became the Bozeman Trail. Against all odds, traveling through Blackfeet country, Shelley’s small party made it to Fort Benton, Montana in the winter of 1863, William Orcutt spent the winter in Bannack, as did Jacobs and Bozeman. Orcutt broadcast the news of a shorter route from the Oregon Trail to gold fields. Jacobs seemed to understand the significance of the shorter route, especially the financial possibilities. He had the experience and knowledge of the western trails, it is not clear what Bozeman had, perhaps he just claimed the idea. At any rate, the two decided to forge a new route from Bannack to the Oregon Trail and then offered to lead emigrant trains back over their new route to Montana. In the spring of 1863, Bozeman, Jacobs and Jacobs’s seven-year-old daughter, traveled from Bannack to Three Forks of the Missouri, across the Gallatin Valley enroute to the East, all the time marking what would become the Bozeman Trail. In the early history of the Trail, it was not referred to as the Bozeman Trail but the Jacobs’ Trail or Jacobs’ cut-off or the Jacob/ Bozeman Trail. 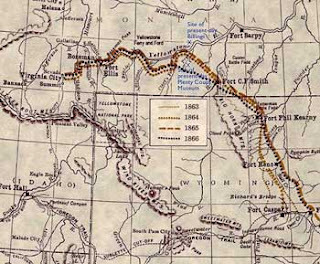 The trail wound east of the Big Horn Mountains then west across Clarks Fork River, Rose Bud Creek, and through the Powder River Basin (the home of the Sioux, Northern Cheyenne and Northern Arapahoe) to the upper Yellowstone River Valley (the home of the Crows, Blackfeet, Piegan and Bloods) to the final destination of Bannock and Virginia City. In all, the trail encompassed 500 miles, shaving 400 miles from the more established route that continued west along the California/ Oregon Trail to South Pass and then north along the Idaho Border. 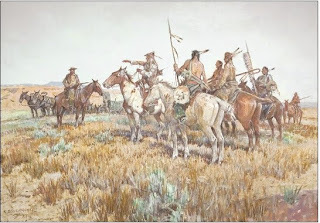 There is however, a tragic, but perhaps inevitable aspect in the establishment of the Bozeman Trail-- the Trail, which traversed Indian country, brought white and Indian hostilities into full fledge warfare. The conflict marked a clear distinction between white Americans, who proudly walked into the West under the raw new banner of democratic capitalism, and the people of a nomadic Plains Tribal horse society, whose members sought to protect their hunting areas for survival of their people. 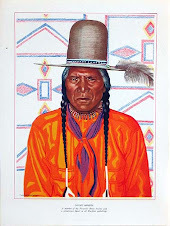 After thirty years of watching their hunting grounds and land being taken up by farmers and ranchers, Native Americans fought back with a vengeance, especially after the massacre at Sand Creek in Southern Colorado. In the spring of 1864, Colonel Chivington and the Colorado Volunteers attacked Black Kettles band of Southern Cheyenne camped at Sand Creek, killing women and children. 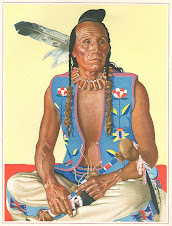 The Southern Cheyenne and Southern Arapaho moved north and formed an alliance with the Northern Cheyenne and Upper Platte Sioux. The Indian War spread through out the Plains and Mountains settlements, making emigrant travel unsafe. The army established western forts to protect travel and western habitants, but the fighting along the Bozeman Trail was so dangerous, that in 1866, the government closed the Trail to civilian traffic. It is great fun to uncover the history of the different emigrant trails and to try to understand the motivations of the people who risk so much to migrate to the West. I’m enjoying learning about an aspect of western history of which I knew so little. But perhaps most importantly, my reading has made me realize how the writing of western history has changed in the last thirty years, a whole new generation of interpretation. This new interpretation is beneficial in many ways--new historiography has presented an all inclusive history of the West; we now have a better understanding of the actions and motivations of all western inhabitants in the eighteenth and nineteenth century. But, the problem that I see in current scholarship is that if a person really wants to know about the lives of those who migrated to the West after Lewis and Clark made the trek in 1803, they will have to start looking through sources written before 1970. The historical account written before the “new” scholarship is basically opinion free, it is strait forward history, many accounts from people who knew first hand. The history of the Bozeman Trail and the events surrounding the opening of the trail, is a wonderful history full of intrigue, but what is even more amazing, to me at least, is the number of men and women who not only forged a trail, but brought entrepreneurship and capitalism to the western America. Yes, they did it at a cost to the Native People who inhabited the region, but never-the -less, their story is remarkable and could only be accomplished in a land that offered them the freedom with which to advance their fortunes.